AJA International ATC-IM Ion Milling Systems are versatile tools which are built in a variety of configurations depending on the specific requirement. 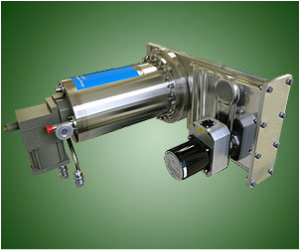 Chambers can be either cylindrical or box style and either HV or UHV. SIMS endpoint detection is optional along with AJA's unique SIMS-IS isolation system which allows the SIMS head/detector to be kept under vacuum whenever the main chamber is vented. Systems can include computer control, load-lock, auto-loading, a multi-substrate cassette and mask exchange. AJA manufactures a wide variety of available substrate holders with features such as rotation, manual/motorized incident angle adjustment, heating, water cooling, LN2 cooling, backside gas cooling, and electrical isolation or biasing. requirement. Systems have been manufactured to employ both inert and reactive/corrosive process gases with the appropriate safety gas box included on the equipment. 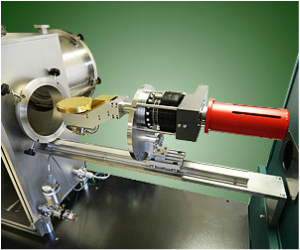 Equipped with a 14cm, gridded, RF ion source positioned for uniform milling of a 100mm Ø substrate. System features a 700 l/s turbopump, computer control, SIMS end point detection, and substrate holder with motorized tilting, rotation, and water cooling. 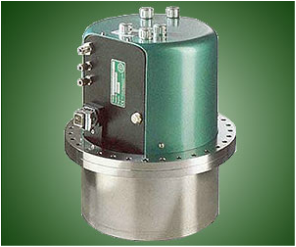 with motorized/programmable +/- 90° tilt angle control, azimuthal rotation, water cooling, and SIMS end point detection. 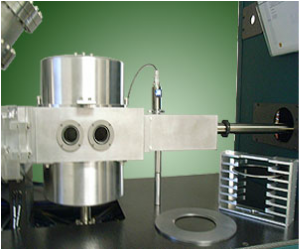 The system shown above is equipped with a RF 22cm gridded ion source positioned for uniform milling of a 150mm Ø substrate. 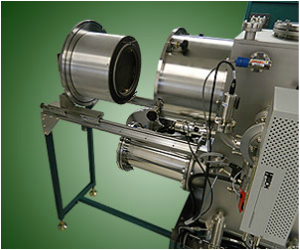 System features a 2000 l/s turbopump, computer control, SIMS end point detection, (2) sputtering sources for depositing passivation layers, and substrate holder with motorized tilting, rotation, and water cooling. Etch rate is 320 Å/min of SiO2 with +/- 2% uniformity. cooling, and tilting to allow the ion beam incidence angle to be varied with precision. on a retractable slide rail for easy access substrate load/unload and servicing. 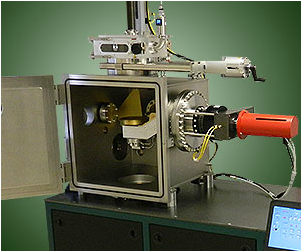 Utilizing a 14cm, gridded, RF ion source for uniform, reactive milling of a 100mm Ø substrate and features a 2000 l/s turbopump, computer control, retractable faraday cup, load-lock with sputter gun for passivation layers, and a substrate holder with motorized tilting, heating/cooling (5-200°C). This tool is also compatible with Cl gas and includes a (4) MFC hazardous gas box. The system shown above is equipped with a gridded ion source positioned for uniform milling of a 200mm Ø substrates. System features a 1200 l/s turbopump, load-lock with 6-position cassette, and substrate holder with backside gas cooling and rotation. Etch rate is 320 Å/min of SiO2 with +/- 2% uniformity. The angle of incidence to the substrate affects the rate and uniformity. 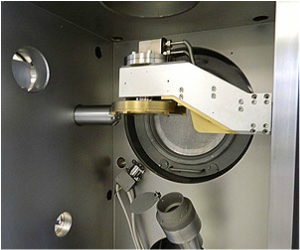 One of the many benefits to the eccentric, off axis milling configuration is the reduced ion source size necessary to achieve uniform etching of larger wafers which would typically require costly, larger sources to achieve similar uniformity results. Angular incidence also improves removal rates while reducing damage to the substrate. 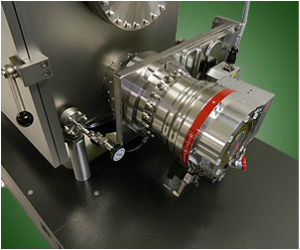 In addition to the milling angle, ion beam energies are a key component of milling rates. 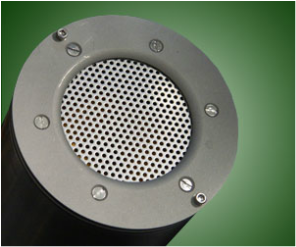 Depending on the ion source selected, ion energy can vary from 50-1200 eV allowing for a wide range of milling applications. For heavier milling requirements, higher ion energies are commonly desired. Lower ion energies are better suited for more sensitive substrates. During the milling process, an increase of the substrate temperature can affect the milling rate and composition of material. Stabilizing the substrate temperature during the milling process is desired in order to maintain a consistent rate and uniformity and prevent substrate damage or unwanted modification. Typical milling profile yielding +/- 2% uniformity with SiO2 on a 6" Ø Si wafer and using an angled, gridded Kaufman style ion source. This process also utilized a BSG200 rotating wafer table equipped with helium gas backside cooling and programmable working distance adjustment. The compact, cost effective, AJA designed and manufactured LEIS sources deliver moderate current density and are suitable for continuous Ar, O2 and N2 operation. These sources can be equipped with AJA's unique in-situ tilting feature which allows for source head angle adjustment without breaking vacuum. 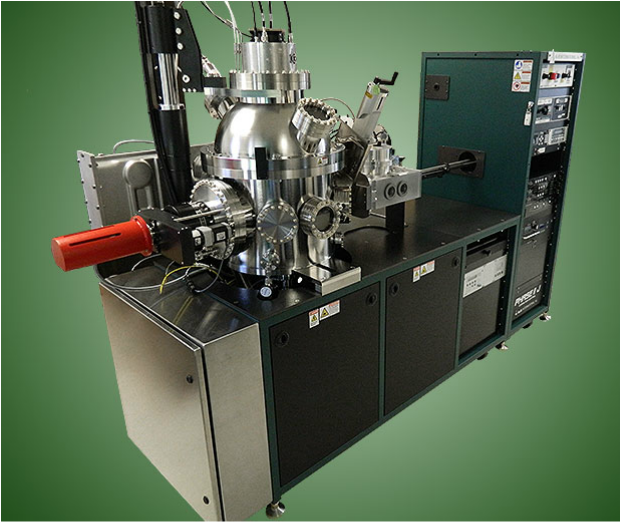 The capacitively coupled LEIS source is ideal for low energy milling applications (50-80 eV) and is capable of 10-15% dissociation of N2 and O2. 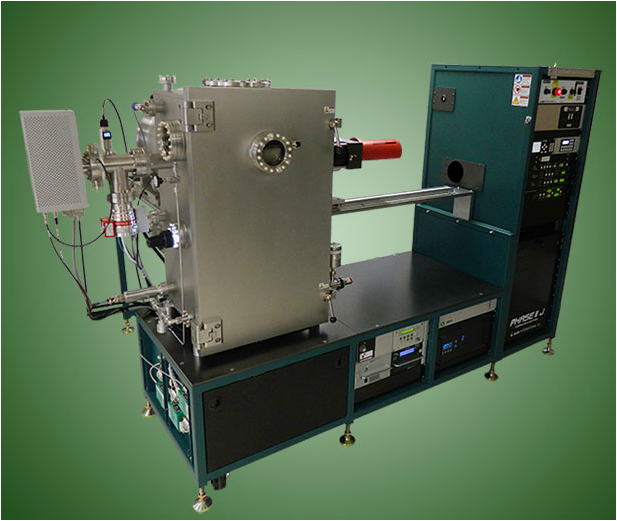 The unique CCR COPRA Quasi-Neutral Plasma/Ion Source is a patented, capacitively/inductively coupled plasma/ion source able to deliver energies up to 200 eV at high currents. These sources are available from 75-400 mm grid Ø and feature an integrated RF matchbox. They are suitable for many reactive gases and are capable of 80-90% dissociation of N2 and O2. 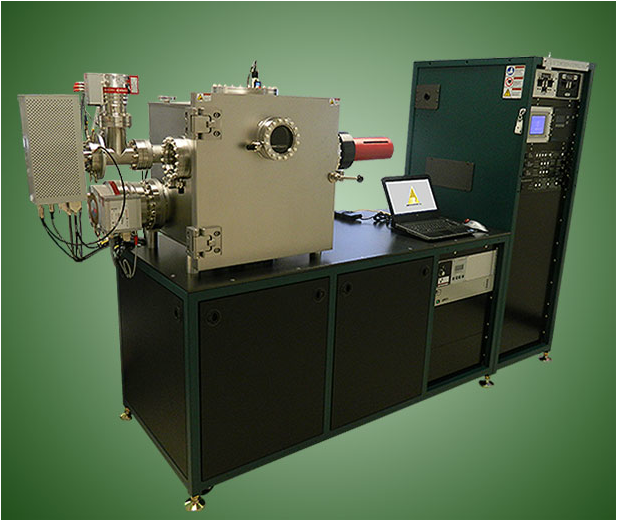 Both DC, filament style, and filamentless RF style, gridded ion sources with variable ion energies up to 1200 eV are available. DC ion sources are suitable for Ar and light O2 service and are equipped with exposed filament neutralization. 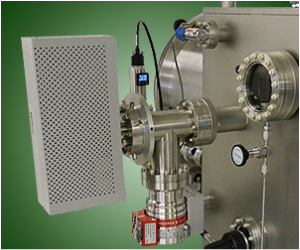 RF ion sources with protected plasma bridge neutralizers are utilized for reactive gases. AJA designs and manufactures substrate holders for all ATC-IM Ion Milling Systems. 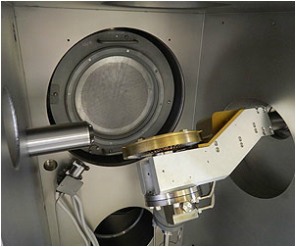 Typical ion milling processes incorporate sample cooling. Heating of the substrate during ion milling may produce undesirable results ranging from non-linear etch rates to unwanted cross linking of polymers used in lithographic resists. On occasion, heating may be desirable to achieve a combination of chemical and physical etching (RIBE). The AJA UNO Series Substrate Holders can accommodate substrates up to 6" in Ø with water cooling, rotation, and the ability to tilt up to +/- 180°. Substrates attach directly to the water cooled surface to maintain temperature stability during the milling process. A retraction system with a convenient slide rail and programmable, motorized incident angle control to within 0.1° is available. The AJA UNO-SM-HCC Series Substrate Holders feature heating and cooling and reactive gas injection at the wafer surface along with programmable, motorized, incident angle adjustment. Both versions are vacuum load-lock compatible. for 4” x 4" substrates, 5-200°C, with programmable, motorized tilting and suitable for reactive gases including Cl. with manual, incident beam angle adjustment, motorized substrate rotation and water cooling. The AJA BSG-200 Series Substrate Holder is designed to handle wafers or similar planar substrates up to 200 mm in diameter and features direct backside He, Ar or N2 gas cooling while rotating. A peripheral weight ring around the outer edge of the substrates help to maintain a 2 orders of magnitude higher backside gas pressure for optimal heat transfer to the water cooled platen. This design is also load-lock compatible. Shielding of surrounding materials and weight rings can be provided with compatible metal, ceramic or TiNx coatings to prevent substrate contamination from the substrate holder. Features backside gas cooling. Center: Shown with mounted silicon wafer in transfer ring. Right: complete assembly with weight ring in place. The AJA Labview based Phase II-IM computer control system is used on all ATC-IM Ion Milling Systems. 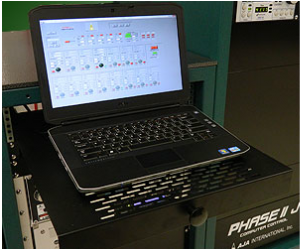 This straightforward, user-friendly control system utilizes a large, flat-screen laptop in a 19” rack drawer connected to a single 7” high x 19” wide rack mount hardware module. The back panel of the hardware module is populated with connectors to interface to all aspects of the system. 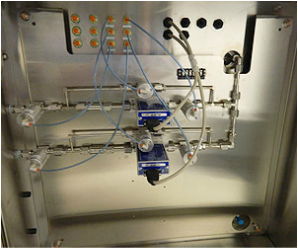 The Phase II-IM control system allows the user to operate either manually or in the “automated processing mode”. In “automated processing mode”, the user designs “layers” which are then compiled and saved as a “process”. The system allows up to 104 unique user names that are accessible only by password and help prevent unexpected corruption of saved processes. 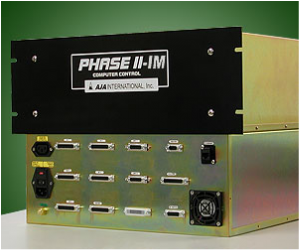 The standard Phase II-IM control system interfaces with the ion source power supply, vacuum pumps, shutters, process gases, optional sputtering sources and corresponding RF/DC generators, substrate tilt & rotation control, and SIMS end point detector to stop the process when an end point is reached. Processes are aborted if setpoints are not achieved. Data logging features an adjustable refresh rate with process data downloaded to Microsoft Excel TM (included). for Labview based ATC system computer control. Replacement laptops are always in stock at AJA. Phase II-IM PLC in compact 4U rack mount case. 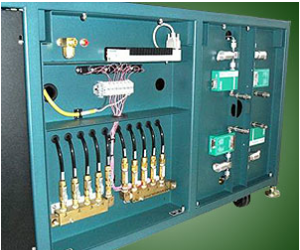 This module is fitted from the outset with all receptacles for quick field retrofits/upgrades.